Shopping in the Miami area ? South Florida offers a variety of venues and excuses for shopping, for adults and children alike. 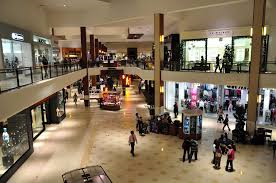 Aventura Mall, in Aventura, one of the largest and most prosperous malls in the United States, offers a multitude of shopping opportunities to choose from for the whole family; department stores such as Nordstrom, Bloomingdale’s, Macy’s, luxury fashion, beauty, home design and furniture stores as well as entertainment venues ( 24- cinema movie theater, numerous restaurants, weekly events and activities for adults and children ). The mall will be removing its current food court, add a three-story wing and expanding by 241,000 sf. The Bal Harbour Shops in the Village of Bal Harbour provide with a sophisticated shopping experience for those willing to browse high-fashion, jewelry and designer brand stores in a luxury and airy shopping center setting. Tiffany & Co, Chanel, Dolce & Gabbana, Tod’s, Armani, Stella McCartney, Alexander McQueen, La Perla and other luxury retail stores are displayed in the smaller, two-story facility. The shopping center also hosts the independent bookseller store Books & Books, the Opera Gallery art gallery and a few restaurants and cafes. The Bal Harbor Shops are developing their third floor. Also, they are partnering with Swire Development to create the retail portion of mega mixed-use project Brickell City Centre, located in the heart of Miami, a couple of bocks West of Brickell Avenue. 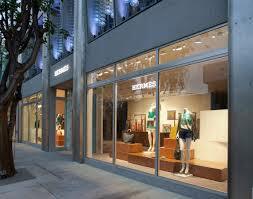 Lincoln Road and the South Beach area offer a pedestrian, European-style shopping and dining experience. The 1111 Lincoln Road section of Lincoln Road has brought elegance and niche brands such as German book publisher Taschen, and the Nespresso boutique and cafe. The iconic South Beach street is going under dramatic changes as it has welcomed additional restaurants and retailers such as Swedish fashion designer H & M, Israeli beauty product company Sabon, , Spanish fashion retailer Desigual and a huge Forever 21 store. Portions of the street keep being renovated and new stores like a three-story Gap and others, which were born in various countries will be opening soon, such as a Café and champagne bar by glamorous French fine pastry designer Laduree. The Miami Design District, showcasing street level shopping opportunities is a neighborhood located between 36th and 41th Street, and has become ( together with Aventura Mall ) the alternative to The Bal Harbour Shops for access to luxury fashion boutiques. Retailers are Bulgari, Dior Hommes, Prada, Marni, Celine, Hermes, Louis Vuitton, Cartier etc… I actually wrote about the transformation about this neighborhood a while ago in one of my posts; the Miami Design District : the new luxury mecca of South Florida. Miami-based developer Craig Robbins has signed a partnership with French luxury group LVMH to open a high-end shopping destination, cafes and a promenade, to be completed between 2014 and 2015. The Miami Design District also displays a variety or art galleries, fine interior design and furnishings stores and restaurants. Of course, there are also many neighborhood boutiques, supermarkets and large retailers scattered across South Florida. Depending on the neighborhood you live in, or if you are visiting Miami for a few days, you will find a myriad of shopping and entertainment opportunities yourself along the way. I look forward to hearing from you. Thank you very much.